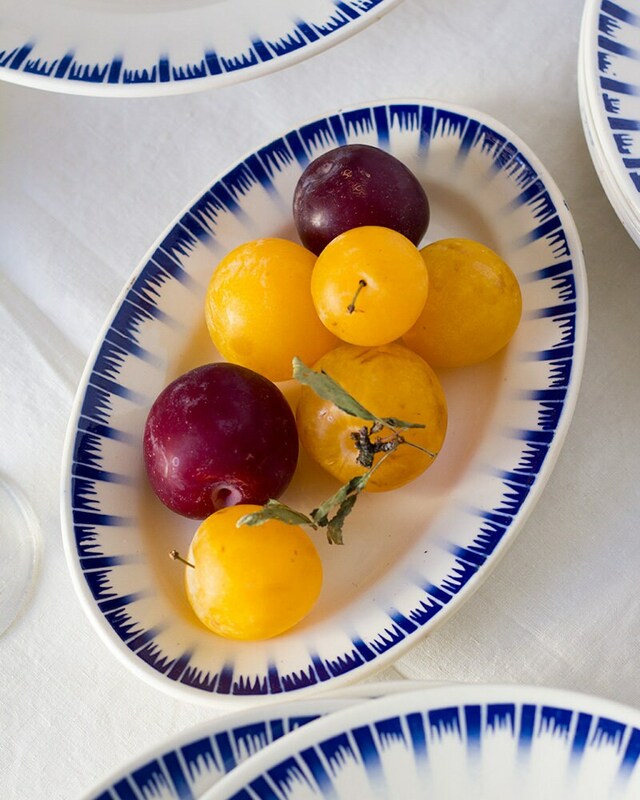 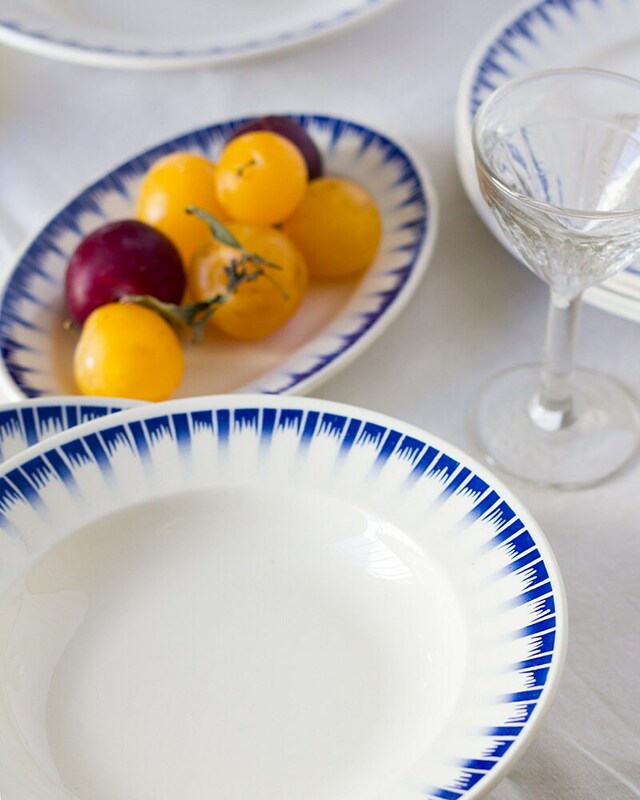 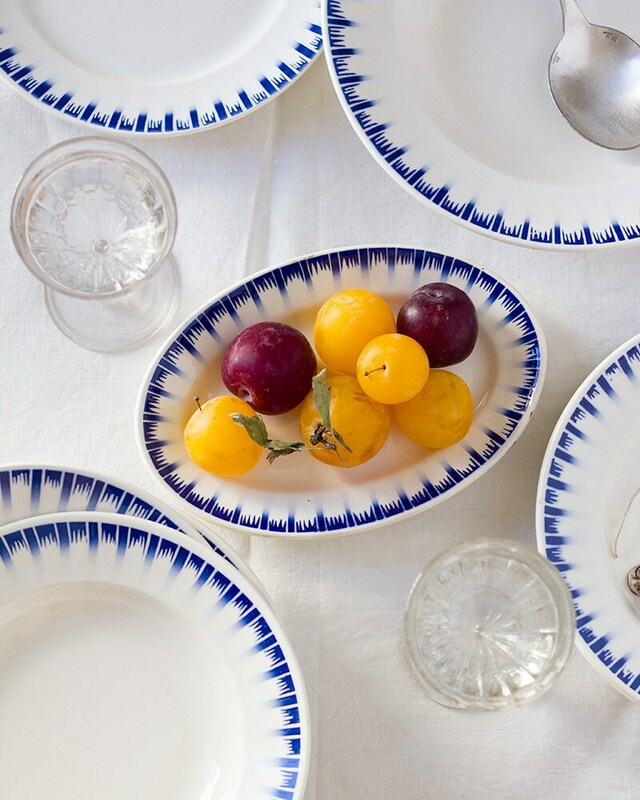 A complete set of vintage French dishes, these plates are fringed with a graduated blue design. 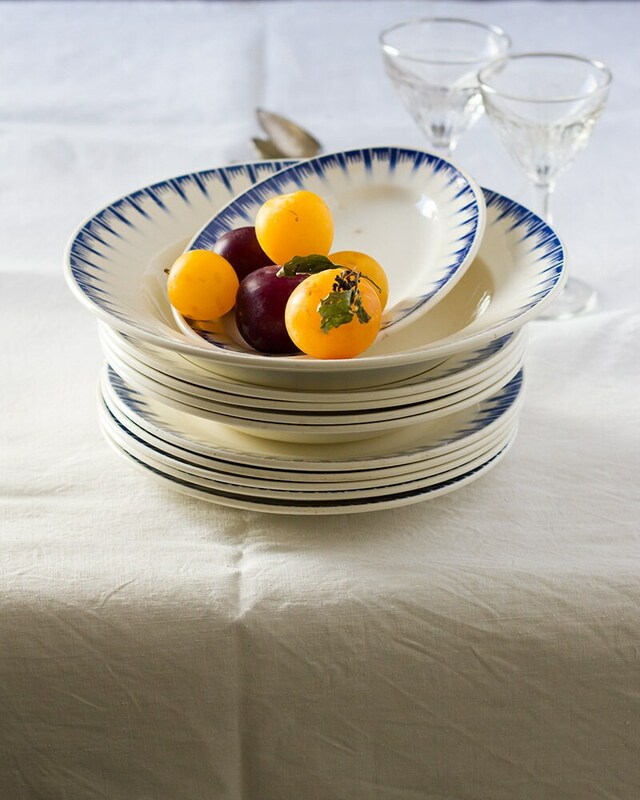 Simple and timeless, the set includes 4 dinner plates, 4 soup plates, 1 small platter, and 1 large serving plate. 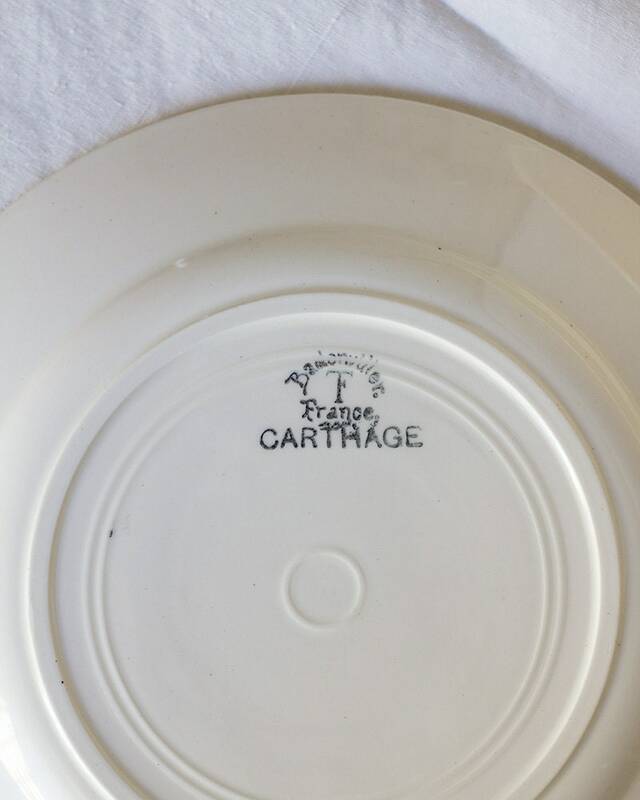 Manufactured by Badonviller at the turn of the century, each piece is stamped on the back with the manufacturer's mark and the pattern name, 'CARTHAGE' (see 6th photo). 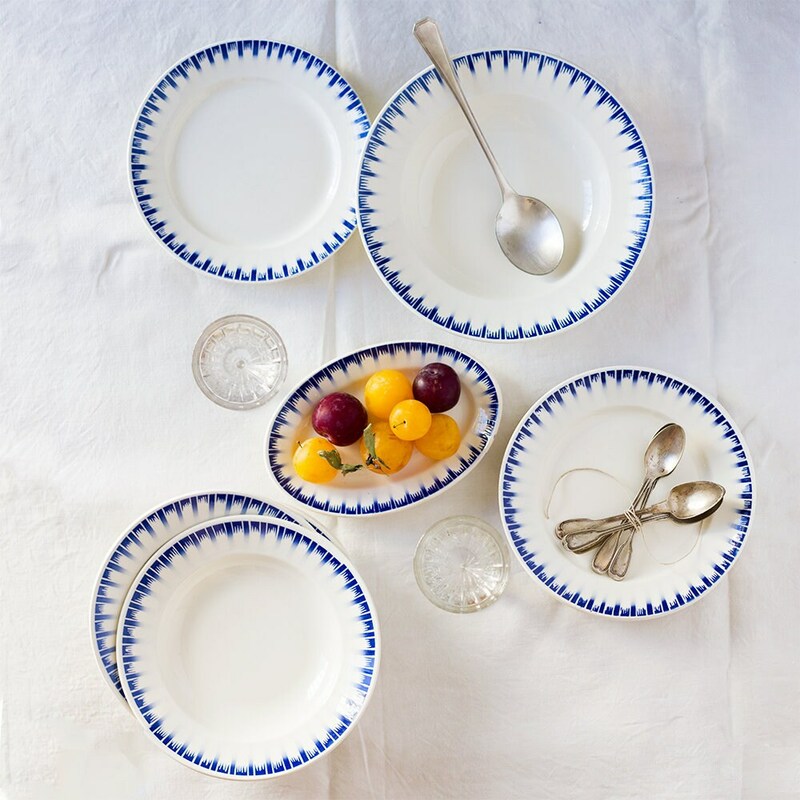 These pieces wear their history like all vintage pieces which only adds to their story. 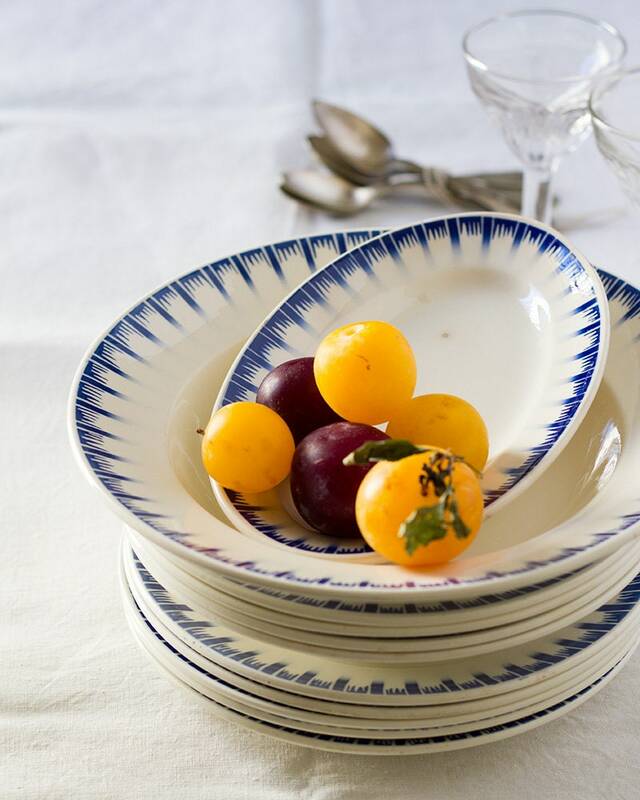 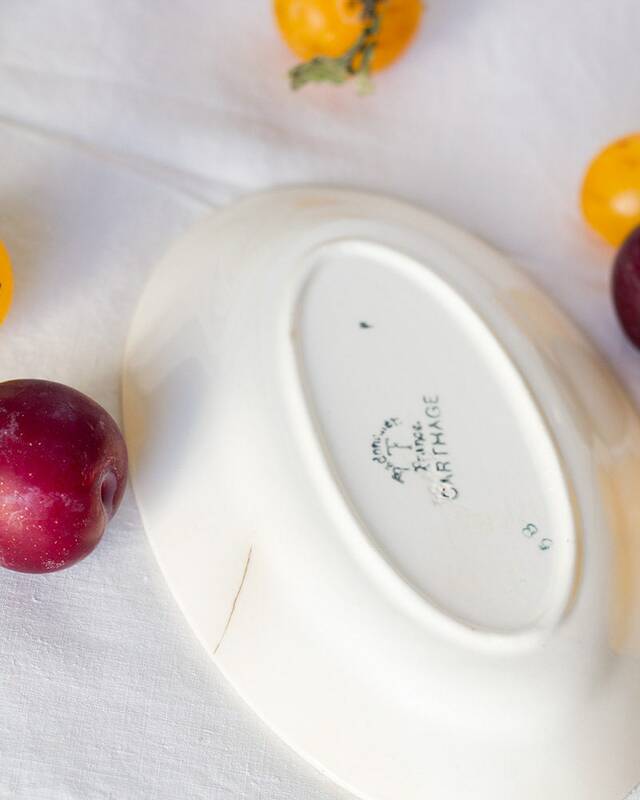 These plates are in excellent condition with no major chips, cracks, or crazing. 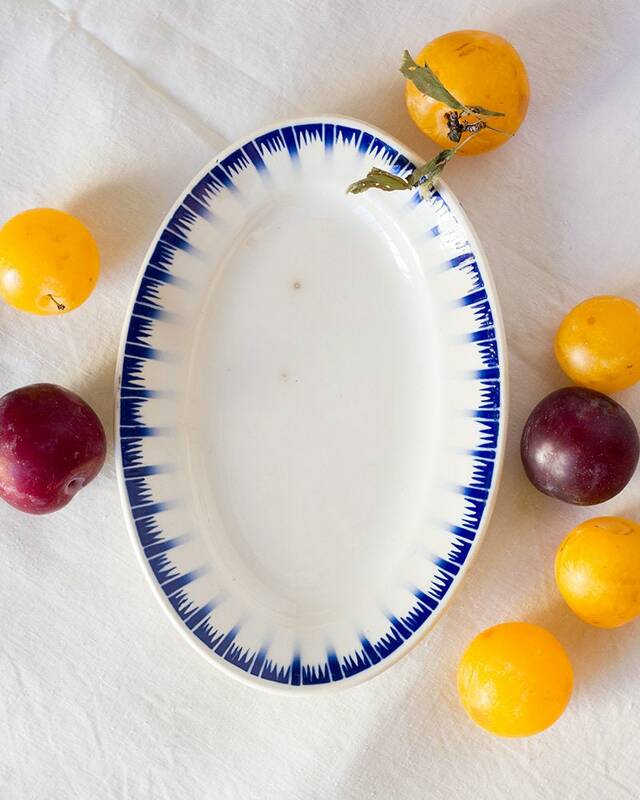 Two small darkened chips on the front of the small platter (see 7th photo) and one crack on the back that does not go through to the front (see 8th photo).